​Lina is an accomplished facilitator, trainer and presenter. She holds a Master of Commerce, an MBA and a Certificate IV in training and assessment and is highly experienced in design thinking and emergent methods for collective systemic transformation such as Theory U. A former Marketing and Communication executive and university lecturer in marketing principles and consumer behaviour, Lina has spent the last 8 years coaching leaders and facilitating deep dialogue and transformative processes. Her methods develop authentic leadership and build the capability of teams to cultivate a collective way of seeing, doing and being. 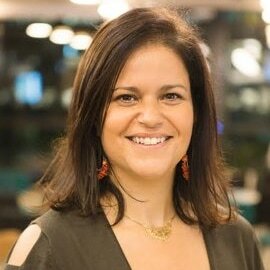 Lina is a convenor of The Sydney Facilitators Network (SFN), a community of practice in Sydney, and a master facilitator of World Café, Open Space Technology, Human-Centered Design, authentic relating, Non-Violent Communication, Conversation Meals and leading with purpose. In 2016, Lina co-designed and co-hosted the “Future of Facilitation” at the Michael Crouch Innovation Centre to empower facilitators to help others navigate this age of rapid economic, political and social change. In 2017, Lina collaborated with Engage2 to co-design and co-facilitate ChangeCampAu, one of the first unconferences in Sydney. She is also well known as a creator of her own processes and resources for the industry. For example Lina has developed the MACRO Leaders model to guide her work in transforming leaders and organisations. The acronym MACRO stands for: Mindfulness, Authenticity, Courage, Resilience, and Openness. In her Mindful Cooking programs, Lina has designed creative processes to integrate learnings, change individual and collective behaviours and formalise practice using sustainably produced food. As a certified yoga and meditation teacher, Lina knows how to hold space for people to reflect, listen deeply and inquire openly in way that encourages empathy and builds connection. Lina is a regular contributor at TEDx, Google Search Inside Yourself, Creative Innovation, The Mindful Leadership forum, and various conscious business events. She is is also a powerful speaker about topics relating to mindful leadership, emotional and spiritual intelligence, self-awareness and resilience.